We seek to understand how neural networks perform complex computations to process sensory inputs. 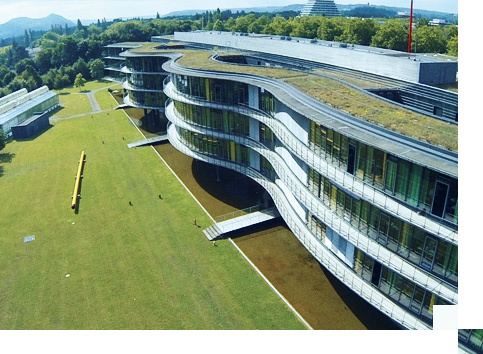 Caesar is a neuroscience research institute associated with the Max Planck Society. Caesar’s research is interdisciplinary with scientists from various research areas working together on the topics of cellular signal processing and the neural foundations of behavior. Interested in joining caesar? View our current job openings in administration, technical service, and student assistant positions. Caesar is looking for committed and enthusiastic school leavers with good qualifications for apprenticeships. In addition, caesar provides internship opportunities for a small number of high school students. Conference Facilities We offer conference facilities for external customers to rent. Restaurant Caesar’s building has an institute restaurant which is also open to guests from outside. Guest House The caesar guest house can be rented by external persons.